You are here: Home / social media / You Registered for the PMA Meeting. Now What? You Registered for the PMA Meeting. Now What? As a marketing person who specializes in Pilates Studio marketing, I tried to get some exhibit space at the Pilates Method Alliance 2016 meeting in Arizona. Unfortunately – their exhibit hall space was all sold out, and the only thing they could offer me was some temp space in an outdoor foyer. 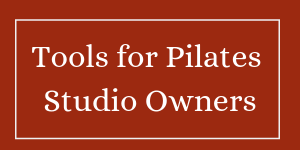 I decided to make the trip to the PMA anyway, and hopefully I could meet with some attendees and try to refine the packages that I offer so they could be more valuable to Pilates studio owners and instructors. I will be in the hotel, and if you’d like to talk, please let me know. As I was setting my goals for this trip, I started to wonder if the PMA attendees had also made a list. When I worked for the government – I was aware that some attendees went to the conferences we planned because they liked to travel. Some people went for the continuing education credit needed for potential licensure. Others went to solve a problem related to a specific situation they were having in their medical center. Thus, here’s my questions for you — the potential attendees at PMA Annual Meeting 2016! Who do you want to meet? Is there a person or studio that you’ve been watching on social media that you’d like to emulate and just learn more about? For instance, I walk by Benjamin Degenhart’s poster every time I take a Pilates session. I look at it every time I roll up on the cadillac. He’s famous! Not only that — but he started a social media trend that has gone global — #MarchMatness! I am anxious to learn from him, but I’ll probably go all Fan Girl if I have the chance meet him. I may be too nervous to ask him to autograph a poster for me! Set goals! Do you want to meet 3 new people a day or 30 new people a day?! What do you want to get out of meeting these people? For instance, if I run into Jenna Zaffino, I’m going to ask her what form of social media Pilates Unfiltered listeners have been most active on and what is her biggest frustration when it comes to starting and growing a podcast. Do you want to make sure you connect with these people via social media or email? Have a plan! Some of my best connections at conferences have been not with the big name speakers but with the fellow attendees I’m taking class with. I always enjoy sharing some small talk before and in between sessions and often walk away with new friends/colleaugues that end up being great connections once I get home. Maybe you could try to make a goal of meeting Pilates instructors in 20 different states so that when you have a client that is traveling or moving you have someone you could refer them to. What will I give the people on my list to help them remember me? 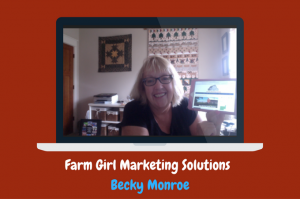 When you make great connections at an event you want to be able to easily connect with these people so that they can become part of your network and or they know where to find you in case they want to contact you! This could be as simple as a business card or maybe something a little more creative that keeps you fresh in their mind! I have something special I designed to give out this year, so make sure you stop and say Hi if you see me!! Not a question but a quick hint: Don’t forget to pack extra business cards! I can’t tell you how many times I’ve gone to a conference without checking my business card supply. I usually have some in my purse — but at a conference where you’ll be networking — you’ll need extra cards! Make sure you’ve stocked your business card holder, and pack extra in your suitcase! Maybe you should do that now so you don’t forget! Are you prepared to participate on social media at the conference and increase your brand recognition? Do you have your Twitter/Instagram and Facebook accounts set up on your phone? Do you have some sample tweets set up in drafts with the appropriate hashtags / business tags so that you can tweet quickly? What do you want to learn or take home? Are there some specific educational information you are hoping to go home with? Be sure to write out your questions and goals so that when you have the chance to learn from a presenter or attendee you’ll have the questions ready to go and not be kicking yourself later. These are just a few suggestions that I came up with from my experience attending conferences in the past! I would love to hear from you about how you are getting ready for your PMA trip? Do you think about specific goals and if so, what are your top goals? I’m anxious to get on that plane for #PMA2016 even tho I have to be at the airport at 5am! What about you? Previous Post: « I don’t do bendy-twisty stuff! !